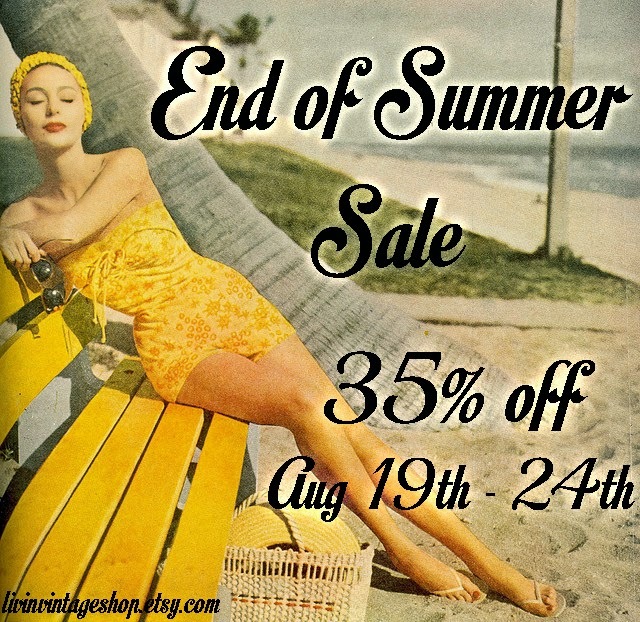 While I eagerly await the crisp fall weather, let's have a sale in the shop! Now through Sunday the shop is 35% off. No reserves, layaways, or coupons can be used during this sale.